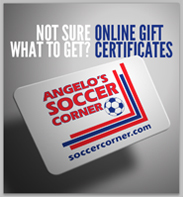 Looking for a gift idea that will blow your little soccer fan away? The new away youth Real Madrid jersey is the perfect gift to surprise your little loyal Real Madrid supporter or Ronaldo Stan. These Real Madrid jerseys are going to be one of the hottest items of the summer and fall and are a great way for a kid to show their support for this Spanish powerhouse. Real Madrid just secured their second Champions League championship, making that three out of the last four. Additionally, they are currently the reigning La Liga champions and they aren't showing any signs of slowing down any time soon. With customization options to put names like Ronaldo, Bale, Isco or more in the official lettering coming soon, your kid could represent their favorite player while cheering on their favorite team. As one of the hottest teams in the world right now, these jerseys are going to fly off the (physical and virtual) shelves. 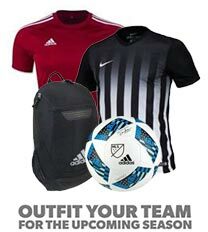 Get your Real Madrid jersey today at soccercorner.com. We expect to begin shipping out customized jerseys (jerseys with names) at the end of June, but pre-order yours today so you can receive it as soon as possible!